We have provided this free resource to help you during your stressful time. When you are ready we strongly encourage you to speak with an experienced New Jersey lawyer that is familiar with your local court. 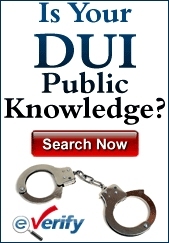 NJ Court System Legal Resources – Official state government website with resources intended to assist you in navigating the legal system, but are not intended to be a substitute for competent legal advice from an attorney. NJ Bar Association Lawyer Referral Service – List of your local county bar associations that offer lawyer referral services. They can help you find a lawyer in your local area.